Combine the flour, baking powder, sugar and salt by sifting it into a large bowl; until it looks like a mound of freshly fallen snow. Add in the honey / agave nectar and beer, then mix*. *After a minute, I found it easier to mix with a wooden spoon. The mixture will become sticky very fast; spray with a non-stick spray before using the wooden spoon. After ingredients are well incorporated, pour half the melted butter in the bottom of the loaf pan. Then add all of the batter. Pour remaining butter on top of the batter (spread with pastry brush). Bake for 60 minutes. When the top of the bread is nice and golden, test to see if the bread is finished by sticking a butter knife in the center of the loaf. If it comes out clean, your bread is ready! If the bread is not ready yet bake for an additional five extra minutes. Adding the melted butter to the bread before baking it gave the sweet beer bread such a delicious, and well, buttery flavor. Plus, it allowed the crust to come out perfectly crisp, while the center stayed moist and had just the right balance between soft and chewy. Cut a slice of your fresh bread and add a smear of whatever it is your heart desires! 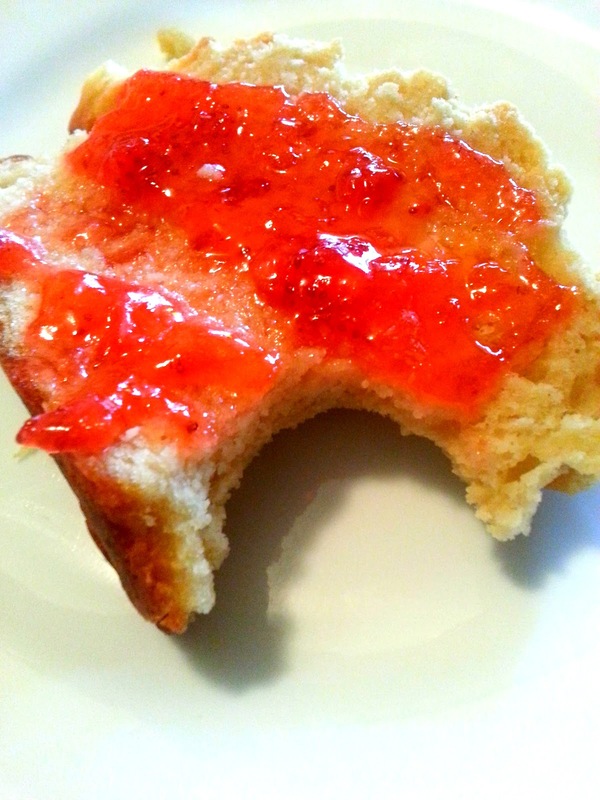 I decided to add some of my homemade strawberry jam!